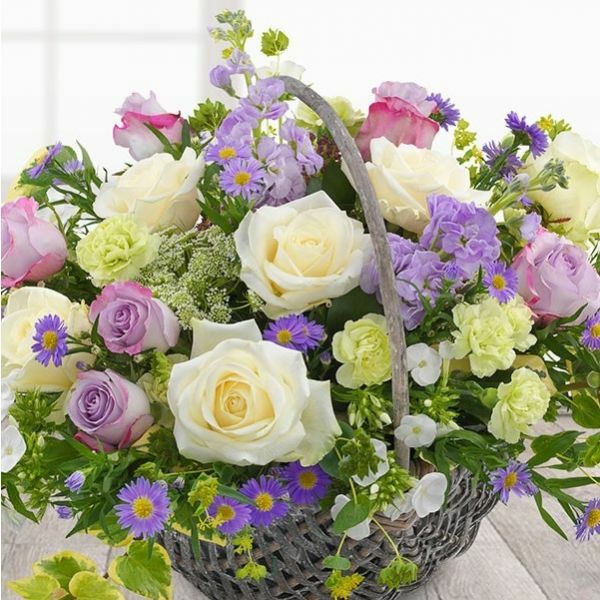 A fantastically fragrant English Country Garden Flower Basket. White Roses, Ammi, Phlox and Asters carefully mixed with lilac Roses and Stocks. (Please note flowers will vary out of the summer season).